Family records show that Thomas Sherwood was born in this county of Nottinghamshire in 1586. At the time of Thomas’ birth, Sherwood Forest, a royal forest, covered a much larger area. Now what remains is a protected nature preserve. The knowledge of our Sherwood family history starts with his birth and his move to America. It has many branches and we are fortunate to be able to trace our heritage. At age 48, Thomas Sherwood, his wife, Alice Seabrook, age 47, and their children Hanna Sherwood, Rose Sherwood, Thomas Sherwood, and Rebecca Sherwood, and approximately 76 others bravely set sail to America on the ship Francis in April 21, 1634. They sailed from Ipswich, Suffolk, England, a popular seaport and departure point for many making the journey to the new world. 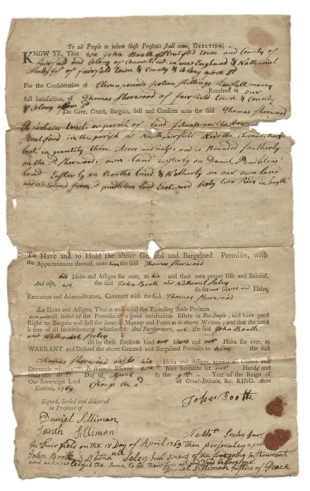 Thomas and his family arrived in Boston, Massachusetts in June of 1634, and they first settled near Wethersfield, Connecticut. During this time he and Alice had four more children, named Jane, Thomasine, Margaret, and Sarah, before his beloved Alice died. After Alice’s death, Thomas married Mary Fitch, and together they stayed until Thomas’ death in 1655. Thomas and Mary also had six children together, Mary, Stephen, Ruth, Matthew, Isaac, and Abigail. 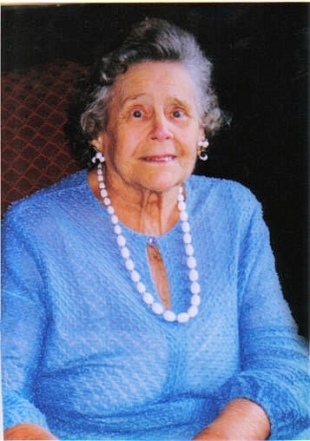 Thomas and Mary then sold the Wethersfield property and moved to settle permanently in the region of Fairfield, Connecticut with their large family. 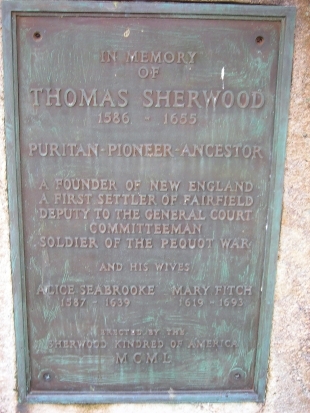 Thomas Sherwood is considered a first settler of Fairfield, Connecticut, New England, and is our first generation in the new world, now known as the United States of America. Thomas was a pioneer, served as a deputy with Roger Ludlowe in the General Court, and as a soldier in the Pequot War. He built the first grist mill in the Mill Plain section of Southport by 1650. He was the finest miller, carpenter and farmer of his time. 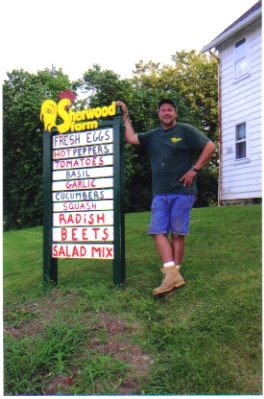 Young Tom Sherwood, who now owns and operates Sherwood Farm, is very proud to have been named after him. There is a beautiful monument dedicated to Thomas Sherwood and his two wives in The Old Burying Ground in Fairfield, Connecticut. 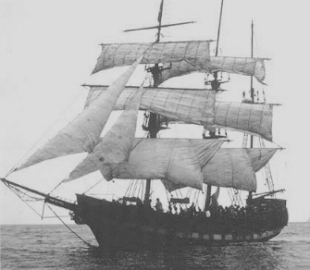 Alice and Thomas’ eldest son, Thomas Sherwood, was our second generation in the new world. Thomas was just as much a pioneer as his father. He continued to operate the grist mill in Southport, and had a son named Matthew. Matthew was a farmer, carpenter and investor in real estate. 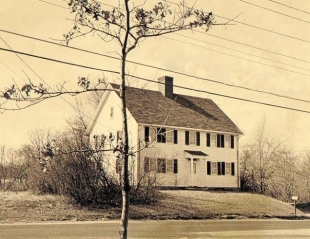 It was Matthew Sherwood, our third generation, who purchased the “Long Lots” property in northern Fairfield (now Easton) in 1670. This is the same land that we now farm on. 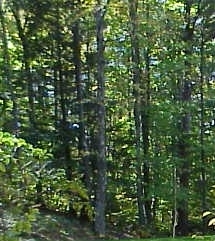 These “Long Lots” took time to clear since the extended some six to eight miles from the dirt trail into the woods. The lots were narrow and long and contained very rocky soil, which explains the abundance of stone walls on our property. In addition to the Sherwood Family, others who purchased the “Long Lots” properties east of the boundary of Park Avenue were the Widow Wheeler, Goodman Hall, Joseph Whelpley, John Odell, Samuel Treadwell, Isaac Wheeler, James Bennett, Richard Hubbell and Henry Jackson. These original settlers and the Sherwoods formed the fabric of what is known today as the friendly community of Easton, Connecticut. Easton prides itself to having maintained the rural charm that characterizes the town. To continue with our story, Matthew and his son, once again also named Thomas, were the first Sherwoods to start farming the land in 1713. They built a barn on part of the property, now occupied by Helen Keller Middle School. It is said to have stood where there are tennis courts are today, in the front of the school. 300 years ago, it was necessary to build the barn first to survival. Thomas and his family also called the barn home during the two years it took to build a proper house. By 1715, Matthew and Thomas finished the farmhouse that still stands today. Matthew gave the property to Thomas and his family, and within a few years he unfortunately died. We have copies of all the deeds tucked away securely. This is the house Tom Sherwood and family occupies today. It has never left the Sherwood family and it still has many original windows, fittings and of course, woodwork. Few things have needed replacing over the years. It is a part of us. The house was built with a central chimney which served many purposes. Starting in the basement, two beehive bread ovens and a meat room were created. The first floor contained a kettle fireplace and a large Dutch oven. Multiple fireplaces provided heat on every floor. In the attic, a smokehouse existed for preserving the meat which was consumed in the winter. And the house would not be complete without a pantry for canning and preserving the fruit and vegetables. All of these features still exist today. 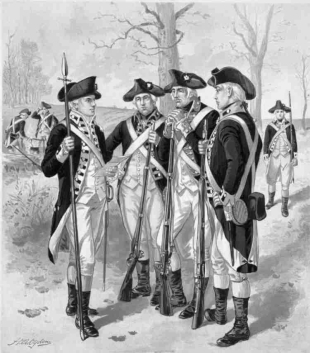 Eventually, there were many Sherwoods inhabiting Connecticut. For example, Sherwood Island State Park is named after Daniel Sherwood, who moved to that area in 1761. Daniel and his wife, Catherine Burr, and family farmed onions and potatoes and harvested oysters. Jeff Northrup, of Sherwood descent, currently owns those oyster beds in Westport and is well known for his Jeff’s Famous Oysters. Sherwood Island history illustrates how many years went by uneventfully as our family continued to grow, live, work and explore the region. But by 1773, rebellious acts by the colonists not in agreement with England’s imposed taxes attracted the attention of the British. This eventually led to the Declaration of Independence in 1776 and the start of the Revolutionary War. It was a difficult time for all colonists, including our family. The Sherwoods were secretly Loyalists to the King of England, and risked imprisonment or possibly death if it were known to neighbors. When the British came into Fairfield and North Fairfield, they burned all the houses they could. The ones that remained were either lucky or were home to settlers who were Loyalists. Most gratefully, none of the Sherwoods died in the war. A few years later, one of our ancestors, Justus Sherwood, was arrested being a spy for the British. He was placed in jail in Wethersfield, Connecticut, but managed to escape. He fled to the Atlantic provinces of Canada, and started the Canadian line of Sherwoods. 106 years after we purchased the farm land, the Sherwoods became a part of the young nation of America. Soon thereafter, the family decided to give back to the community by donating land to the United Methodist Church. This Easton church was named after a preacher named Jesse Lee. Jesse Lee United Methodist Church is still very active today, and stands today a few thousand feet from our farm on Flat Rock Road. We can hear the church bells ring out every Sunday. Other famous Sherwoods were to come. Charles Sherwood Stratton was a dwarf who achieved great fame with circus pioneer, P.T. Barnum, a Bridgeport, Connecticut native. 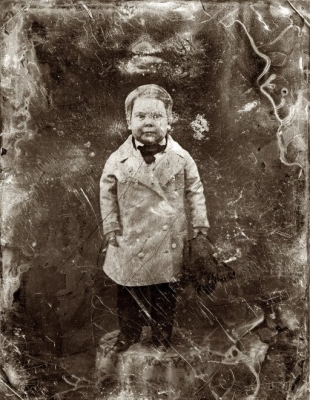 Our relative was publicly known as General Tom Thumb, so named for his likeness to a boy in English folklore who was no bigger than his father’s thumb. Charles Daniel (C.D.) Sherwood, a Connecticut native, moved to Minnesota in 1856 and became a prominent leader in the state legislature. At age 29, he became the youngest Speaker of the House in Minnesota. From there he fought in the Civil War for the North and camped in Crow Creek Valley during the march onto Chattanooga, Tennessee. Having been impressed by the beauty of the valley, in the 1870’s C.D., his family, and several other Northern families returned to the valley to establish Sherwood, Tennessee. But before settling that land, he was to make his mark back in Minnesota as the Lieutenant-Governor from 1864 to 1866. 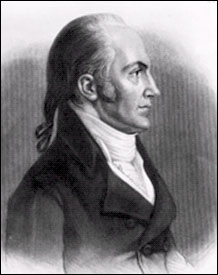 A descendant from the Sherwood – Burr family line was Aaron Burr, the Vice President to President Thomas Jefferson, in 1800. Prior to his Vice Presidency, Burr was a successful lawyer and served as New York’s Attorney General. He was also a political rival to Alexander Hamilton. In 1804, following a public defamation of Burr’s character by Hamilton, Burr challenged Hamilton to a duel. Duels were an accepted means at that time to settle disputes. Burr was a sharp pistol shooter, and fatally wounded Hamilton. He became infamous not necessarily because of this, but rather because of his later trial for treason in 1807. He was acquitted, moved to Europe for many years, and then returned to practice law in New York. Aaron Burr lived to the age of 80, quite a remarkable feat. Generations of Sherwoods who resided at 355 Sport Hill Road lived and died as farmers, excluding the handful of Sherwoods who became famous in American history. In more recent years, the Sherwood men, along with the women at home, have continued to serve our country during wartime to defend our freedoms as Americans. Today, although the acreage that remains is significantly less, we are fortunate to simply farm the original land in Easton, Connecticut,. This is why our customers are so vital. You keep us going. You are a part of our history and our future. The Great Grandfather of current owner and farmer, Tom Sherwood, was named Justus Sherwood. He sold his eggs in Bridgeport to Doyle’s Bakery and the Frisbie Baking Company. Both businesses also bought our delicious fresh berries for pie filling. Eventually, students tossing around empty pie tins embossed with “Frisbie’s Pies” led to the creation of the modern day plastic Frisbee. 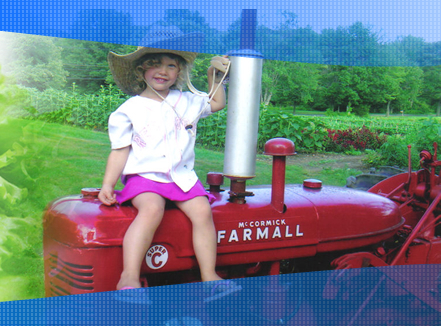 Our next generation included Hannah Louise Sherwood, Grandmother of Tom, who operated the farm stand on the side of Sport Hill Road. Her husband Albert “Al” Sherwood worked hard in the fields and at the barn. 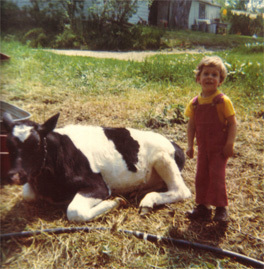 In time their son, Schuyler Sherwood, began to run the farm with assistance from James “Butch” Silva. Butch often recollected that his first job at age 8 was to weed a row of corn for Al for 25 cents. Later in life, when Butch continued to help out at the farm, he declined any money for his work. Rather, he only wanted to be provided with a tuna fish sandwich every day for lunch and a bed to lay his head on. Nothing more. 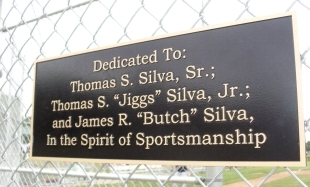 This great man recently had the home field bench at the Easton Little League baseball field dedicated to him and his relatives. 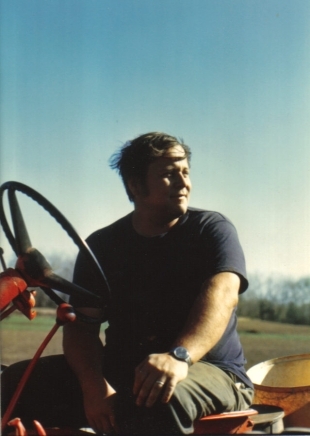 With Schulyer watching over, Tom Sherwood owns, manages, and farms the fields today. 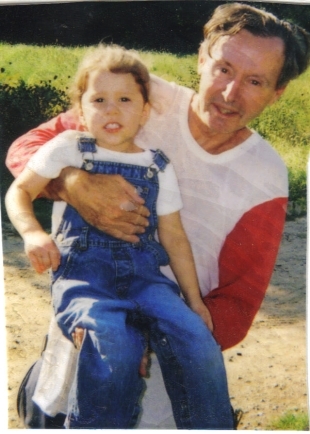 Tom converted the red barn into a farm market and continues to learn and add to his inherited knowledge of farming. This results in a very healthy and productive farm. The Sherwood Farm market is furnished with recycled barn materials, air conditioning in the summer, heat in the winter, and has plenty of room for selecting favorite fruits, vegetables, meat and honey, and even an observation bee hive. We strive towards experimentation for the good of the farm and to meet all of our customer needs. 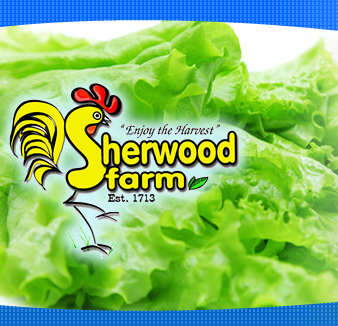 Sherwood Farm is one of the oldest continually operated family farms in the United States of America. We take our job seriously and passionately. Even the worst economic times, financial worries, weather and crop disasters, and great emotional burdens have never extinguished our love of farming. The Sherwood heritage and instinct, extended family and crew are the driving spirits behind the scenes. But you, our customers and our community, sincerely make it all worth the while. We are so proud, yet so humbled by our growing popularity. Thank you.